There are all kinds of fears and phobias. 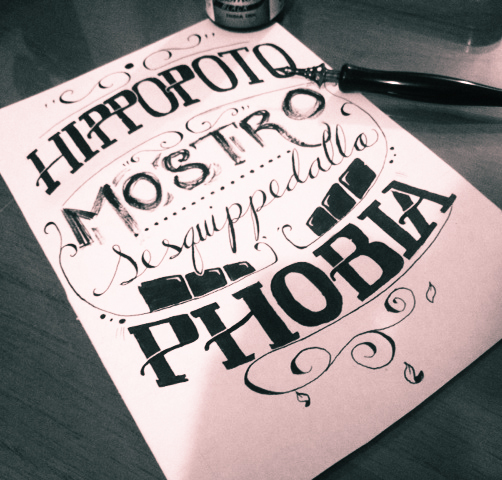 If you just “google” the word… phobias, it will guide you to a list almost innumerable. Some of those listed seem like perfectly rational fears (if there is such a thing). Others seem irrational to those that do not deal with such issues. Whether or not we regard a fear to be rational or irrational is actually irrelevant. The truth is, all fears are paralyzing. They are preventative in the fact that they inhibit us moving forward. They present an obstacle almost too difficult for us to conquer. Another truth is that we all have fears… How could we not? I know some who might choose to read my blog (if they even know about it) might say “I ain’t skeered of nuthin'” (maybe they are rednecks or like me… a MississippiHippi). But we are all fearful of some things. We are limited creatures that are finite in the amount of time we have. That in itself provides certain uncertainties. When it comes to people that claim to have faith that overcomes their fears…how do they face such fearful obstacles? How are they so bold in their beliefs? How is there a confidence in them that seems to conquer with great courage? Have the fears gone away because of faith? As I view scripture, i see normal human beings that have an encounter with Jesus Christ who is God Almighty. Now there is something extremely powerful that occurs when a finite creature encounters the infinite Creator. It is also unique that these human beings as weak and frail and sinful as we are, can choose to follow this Jesus who freely chooses to make Himself available to them (and us). And what happens after when these men choose to follow Jesus? God makes His limitless power known through limited men that choose to follow Him. Take the examples of Peter and John in Acts 4. These men were by no means special in the eyes of the world and put under the scrutiny of possible pain (or even death) in their lives… they stand with courage and confidence for Jesus? What can be learned from their scenario that would be helpful to us that deal with fears and yet want to be faithful? What did they do in “practicing their faith and courage” in Christ? They Shared the Gospel of Jesus Christ… specifically they shared His identity, death, & resurrection. They Surrendered to the move of Holy Spirit… they made themselves freely available with their lips and their lives. They Preached the authority of the Holy Scripture… they made known the words that were provided by God so that men and women may know Him. They Trusted the call to be obedient… even though it may cost them everything, they knew Jesus is worth it and Jesus is the Lord! We too can be bold to face that which can be fearful because we choose to follow He who is faithful.